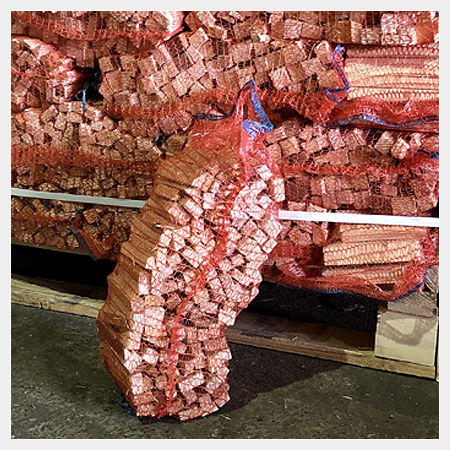 Extremely clean and kiln dried between 10-15% moisture, our wholesale kindling is ideal if you are looking to buy kindling in bulk to re-sell to your customers. We are confident you will not find kindling of this quality that’s ready to retail anywhere else in the UK – clean, consistently sized with no scrappy pieces and free of bark. Buy from a single pallet up to full lorry loads of kindling for great bulk discounts – we always hold stock for immediate dispatch nationwide. Delivery is performed by a pallet courier with 1 delivery man using a tail-lift vehicle and pallet truck – you do not need to assist.